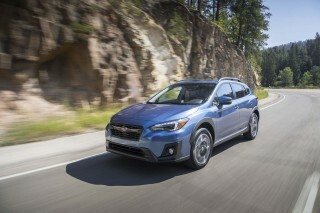 Stick to Touring trim levels, with or without an optional package. Grand Touring heaps on more creature comforts, but we’re not sold on its value. The 2018 Mazda CX-3 is an attractive small crossover pick thanks to its good looks. We’d ask for more room, but fear that would spoil the CX-3’s low price. The 2018 Mazda CX-3 compact crossover SUV has hustle. It does more with less—more effort isn't always better. The CX-3 also counts advanced safety features among its skill set—increasingly commonplace for smaller cars, but strangely missing from cars that cost more than twice the CX-3 entry ask of $21,050, which includes destination. This year’s CX-3 is offered in Sport, Touring, and Grand Touring trims, which all receive standard advanced safety features this year. The system, which Mazda calls Smart City Brake Support, can help avoid front crashes at speeds slower than 19 mph. The rest of the CX-3 lineup is fairly uncomplicated too. 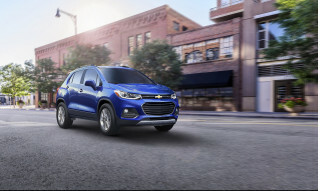 Just a single engine-transmission combination powers the compact crossover down the road: a 2.0-liter inline-4 paired to a 6-speed automatic. Acceleration is unexciting, but the handling makes up for it. Mazda’s MO over the past few years has been to constantly smooth over edges around its crossovers and cars, and the CX-3 is no different. New bushings, control arms, engine mounts and more sound-deadening material could quietly improve the things we like about the CX-3. What they can’t improve is the rear seat room, which is best considered as an occasional penalty box for in-laws. Fold the seats down and the CX-3 gets more than 44 cubic feet of cargo room, which isn’t class-leading but more than helpful. From the outside, the 2018 Mazda CX-3 looks sharper than its price tag would suggest. The 2018 Mazda CX-3 is a fresh start for small crossovers—a tall-riding hatch that works so well on the outside that we say it’s exceptional. It translates a larger Mazda design language into a smaller shape that isn’t overly complicated or busy. Next to its rival, the Toyota C-HR, the Mazda CX-3 emphasizes that busier isn’t better. A lot has been written about Mazda’s design strategy, and the automaker is rightfully proud of its exteriors. By our eyes, it’s simple and straightforward, with a mix of simple creases on the hood and down the door panels to help shift light in the right ways. The black window frames don’t necessarily jibe with some of Mazda’s other crossover designs, but we’re not picky. Bigger wheels better fill out the arches, 18-inchers come standard on Touring trims and higher. Inside, the cabin is a mix of good materials and not-so-good looking instruments. The dash is wrapped in soft-touch elements that belie the CX-3’s starting price of $21,050. Rugged air conditioning controls aren’t out of place, but we take issue with the instrument cluster that looks very dated—the monochrome look was old a few years ago. A head-up display is a nice option to have, but we’ve found that in the past it’s not very easily read and could be easily skipped. The 2018 Mazda CX-3 is right in the automaker’s wheelhouse: adequate power with good handling and a relatively bright drive. The 2018 Mazda CX-3 respects your time with its powertrain options: with or without all-wheel drive? Every version of the CX-3 is powered by a 2.0-liter inline-4 that makes 146 horsepower and 146 pound-feet of torque. A 6-speed automatic is standard fare too, regardless of trim. The engine is best at a highway pace, 70 mph at 2,300 rpm. Around town, the busy engine growls and grumbles getting up to speed, that’s not living its best life. According to Mazda, more sound-deadening material has been added to make the experience quieter—but we haven’t yet sampled those cars. The automatic is mercifully not of a continuously variable variety, it’s a traditional 6-speed automatic that performs adequately and keeps the CX-3 hovering around 30 mpg. Grand Touring-trimmed CX-3s get standard paddle shifters, which help the small Mazda crossover wring out the most from its busy engine, but sadly the shifters are not available on lower trims—even as an option. Steering and handling are the CX-3’s forte, and Mazda says they’ve improved the crossover’s response. Revised bushings, control arms, and revised dampers should help overall handling, but we haven’t yet driven those cars. We’ll update this space once we have. 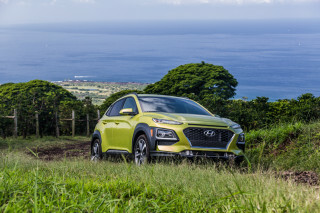 The available all-wheel-drive system, which costs $1,250 on every trim level, adds sure-footedness for all-weather conditions. Adding more driven wheels drops fuel economy 2 mpg across the board, but Mazda’s system quickly engages to find traction in slippery conditions. This year, Mazda added its corporate G-Vectoring Control system that uses small torque adjustments to plant weight on the right wheels to increase maneuverability and cut down on head toss. In other applications, we’ve found that it works imperceptibly—it’s another addition that Mazda frequently uses to get the little things right to make a relatively big difference. The 2018 Mazda CX-3 is more for the look; it largely skips the space and versatility that makes crossovers popular. The 2018 Mazda CX-3 borrows most of its looks from Mazda’s sedans, which we appreciate. That’s fine for front-seat riders who are afforded excellent outward vision, and a good ride height. The news isn’t so good for rear-seat passengers that, in addition to somewhat cramped rear leg room, also pay the price for a sloped roofline that cuts into available head space. The CX-3 sports just 101.2 inches between its wheels, which means it needs to make the most of its available space. It does just that—for the most part. Driver and front-seat passenger get enough room for most body types, and the base seats aren’t bad either. Rear-seat passengers get scant leg room and bear the brunt of a curved roofline and rising belt-line that makes sitting in the back a veritably dim affair. Just 12.4 cubes of cargo space are available behind the second row—not much more than the trunk of a sedan—but tumble the split-folding rear seats down, and that space opens up to more than 44 cubic feet. 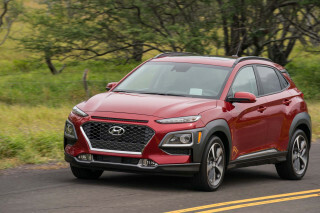 We suspect, nay hope, that most CX-3 shoppers will be considering the crossover for themselves and occasionally one other passenger in most instances. According to Mazda, this year’s CX-3 includes more sound-deadening material that will make the cabin quieter. We haven’t yet driven a new model with these features, but will update this space when we do. The 2018 Mazda CX-3 earns top scores from all official agencies, and newly standard safety equipment helps, but there’s a small wart on its nose. The 2018 Mazda CX-3 has an enviable safety scorecard with newly standard safety equipment on every model. 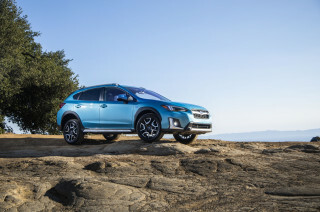 Independent testers from the IIHS gave the small crossover its highest award, Top Safety Pick, after it earned top “Good” scores on all crash tests, a “Superior” score for its front-crash prevention technology, and its headlights on Grand Touring trims earned an “Acceptable” rating. Federal testers largely agree. The CX-3 earned a five-star overall rating, including a four-star score for rollover crash safety—relatively common for tall-riding crossovers. The CX-3’s only demerit is a note that a side-impact crash on the passenger’s side may protrude further into the cabin than normal and could result in a higher likelihood for injury. The big news this year is the addition of low-speed automatic emergency braking to all versions of the CX-3, which is thankfully quickly becoming regular for small cars. The system, which Mazda dubs Smart City Brake Support, can automatically brake the car at speeds 19 mph or slower. The IIHS hasn’t yet rated the system independently from its optional add-on that can slow the car at highway speeds. That higher-speed system, which is optional on top-trim Grand Touring CX-3s, is bundled together with adaptive cruise control, lane-departure warning, adaptive headlights, and a head-up display. Outside of optional packages, the 2018 Mazda CX-3 comes standard with a full complement of airbags, stability and traction control systems, and a throttle-based steering support system called G-Vectoring Control. The system uses engine torque variations to imperceptibly shift weight to front wheels to cut a sharper line around corners. All-wheel drive is optional on all models for $1,250, which could further aid maneuverability. Every 2018 Mazda CX-3 is decently equipped, while mid-grade trim levels offer relative values compared to others. The big news for the 2018 Mazda CX-3 is what comes standard this year—not what’s optional. Low speed automatic emergency braking is basic equipment on every model this year, complementing a good set of features that we liked already. We cover the now-standard safety gear above, so we won’t spoil the fun. 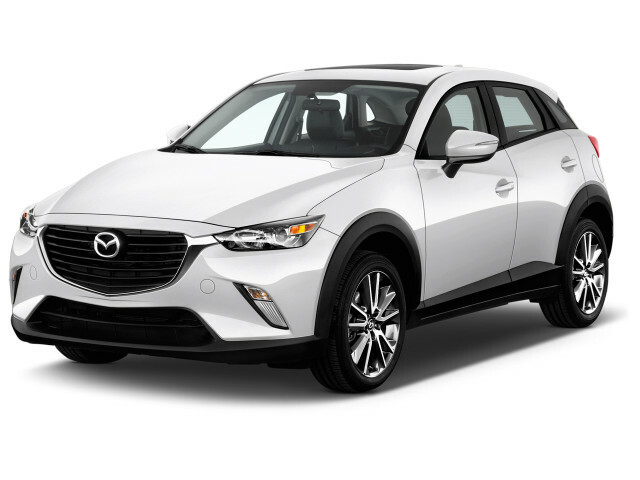 In addition to the advanced safety features, the base Mazda CX-3 Sport trim includes cloth upholstery, 16-inch wheels, keyless ignition, a rearview camera, two USB ports, and a 7.0-inch infotainment touchscreen with Bluetooth connectivity. 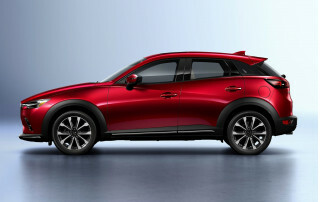 Stepping up to the mid-grade Mazda CX-3 Touring trim level adds 18-inch wheels, synthetic leather upholstery, heated front seats, automatic headlights, automatic climate control, proximity key, blind-spot monitors with rear cross-traffic alert, and a leather-wrapped shift knob. 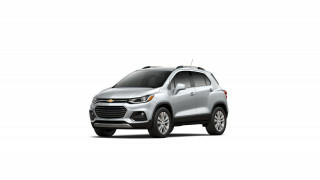 A popular equipment add-on for the Touring trim level can add premium audio by Bose, a moonroof, and satellite radio for $1,410. Top-shelf Mazda CX-3 Grand Touring trims get all of the above and leather upholstery, LED lights, navigation, and a head-up display. The final stop for the CX-3 is a $1,435 Premium Package for Grand Touring-trimmed cars that adds adaptive cruise control, power front seats, heated steering wheel, lane-departure warnings, and automatic high beams. 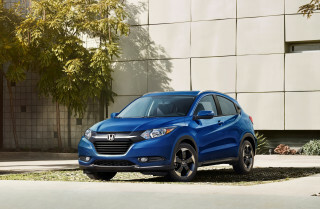 All-wheel drive is optional on every trim level for $1,250. Premium paint swatches add $200 to $300 to the bottom line. Small and light, the 2018 Mazda CX-3 goes about fuel-efficiency the old-school way. Despite skipping some recent fuel-efficiency technology, the 2018 Mazda CX-3 is competitive among small crossovers for mileage. Front-drive versions of the Mazda CX-3 are the most frugal. According to the EPA, they’re rated at 29 mpg city, 34 highway, 31 combined. Opting for all-wheel drive adds nearly 150 pounds of running gear and drops mileage down to 27/32/29 mpg. That’s a relatively steep penalty for the hardware, but it hardly makes the CX-3 a gas-guzzler. Among small crossovers, the CX-3 is competitive with its relative (lack of) thirst. 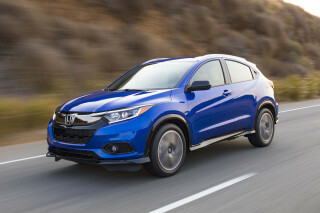 The Honda HR-V is rated around 30 mpg combined for most versions, as is the Subaru Crosstrek—which is all-wheel drive by default. 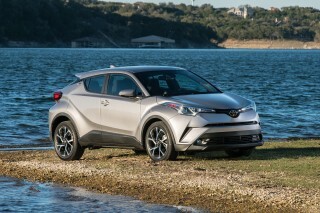 The Toyota C-HR, which is front-wheel drive only, is rated around 30 mpg too—any better than that requires a hybrid powertrain.